More than just a makeover.. Recently refurbished, our wellness spaces are designed to be cohesive and firmly grounded within the principles of our foundation. 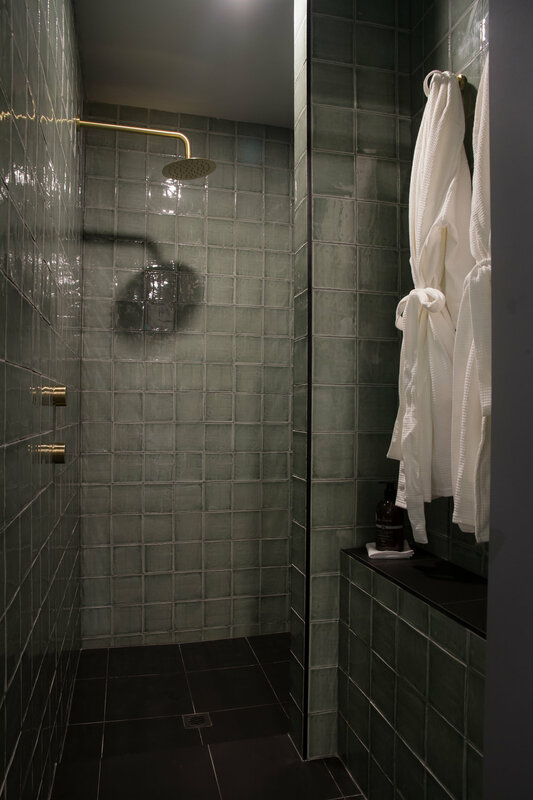 Careful consideration has been given to provide our guests with a complete holistic experience featuring delicate lighting and a palette embracing natural, organic and luxury materials and finishes, where our guests are immediately immersed in an environment designed to relax, nurture and restore. This perfect balance of these aligned natural materials is highlighted with marble, bauwerk limewash wall finishes, brass, raw concrete and recycled timber which has resulted in a perfect harmony of organic sophistication. At Eco Spa, we believe how you feel and what you think is a result of your surroundings, your everyday routine and the way in which you care for yourself. That's why we went to great lengths to create a visually beautiful, soulfully soothing and peacefully quiet environment in which you, our guest can be pampered and nurtured from head to toe. Our treatment rooms have been designed with you in mind. A place for you to switch off, unwind and truly relax for as long as you need. Each treatment room has been given the name of a natural element or state of being, as traditionally labelled in Sanskrit. One of the oldest languages in our world, Sanskrit often linked mother nature to the human being through written or spoken word. We can't wait to welcome you at Eco Spa. Pampering awaits..